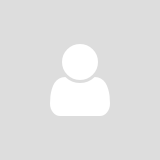 I snapped the image above from a rock outcrop in Mount Kaputar National Park in July 2014. I remember how good the first sunlight of the day felt on my face after an hour or more of scrambling about taking photographs in the pre-dawn chill. Sometimes it's hard not to just throw your arms in the air and soak up the splendour of a natural place like this. The trip to Mount Kaputar (my first time there), and this moment in particular, were memorable highlights of my photographic year. But there were plenty of others along the way - like hiking to the top of Bald Rock, Australia's largest exposed granite surface, by torchlight, rock-hopping along the wild Boonoo Boonoo River and spotting a rare and secretive quoll (another first for me), sitting on Turtle Rock in Girraween NP watching the first rays of morning sunshine light up the Sphinx as a lyrebird filled the woodland with it's resonant and evocative song, or the many pre-dawn forays to the beautiful beaches and headlands of Queensland's Sunshine Coast. Of course, there were also the less euphoric moments - like struggling to see through watering eyes brought on by an icy wind atop a the summit of Mount Kaputar, hiking for an hour on a foggy morning in the Bunya Mountains only to find the fog had got inside my wide-angle lens and most of my images were unusable (that lens has been retired! ), or trying to pack away my tent in the dark amid a flurry of snow when a howling wind threatened to dump large branches on my campsite. But don't get me wrong - I'm not complaining about these inconveniences, although I might have complained a little at the time. They are all part of the deal and, together with the highlights, make up the year that was. So below are some of my favourite images from 2014. It's always difficult to pick favourites when you are attached to different images for different reasons - sometimes it's purely the instant postcard-type appeal of an image, sometimes the choice comes from a more artistic perspective, sometimes it's the memory of the moment when the image was captured. But they are all here for a reason and I think they make a good summary of my year of photography. I hope you enjoy them. 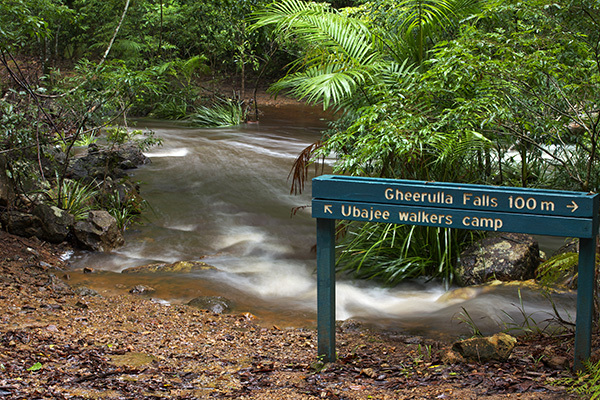 Gheerulla Creek is a rocky little rainforest stream in Mapleton National Park, not far from my home. When I visited in April, recent showers had raised the level of the creek ensuring the cascades were flowing and creating lots of foam trails that make great subjects for long exposures. 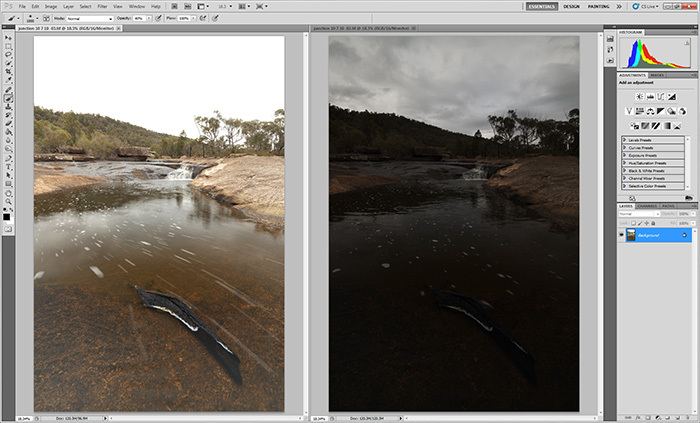 The first three images below are from that session - all were captured with a polarising filter and 3-stop ND filter in place. 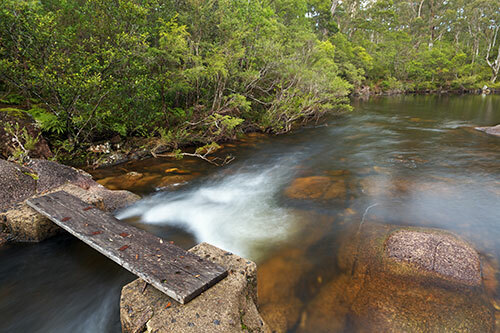 In May, I spent 4 days exploring along the rocky and wild Boonoo Boonoo River in northern New South Wales. The cascades and waterfalls along the river range from gentle and pretty to thunderous and ridiculously high. The first image below falls into the latter category - to capture it, I had scrambled down to the last safe vantage point on the river before the main Boonoo Boonoo falls plunge around 200 metres into the gorge below. And I have to confess my knees were trembling just a little! The second image below is of one of the many gentle and pretty cascades that are common further up the river. There's an article and more images from my trip here. Washpool National Park is a swathe of deep, green rainforest high in the hills of the Great Dividing Range. In May I hiked up to Summit Falls and spent a memorable couple of hours photographing the various cascades under the shade of a closed forest canopy. There is a short video about my trip here, and an article here. Anyone who has visited my Facebook page will know that one of my favourite photographic themes is wave action on rocky shores. That might have something to do with the fact that the spectacular Sunshine Coast is only a half hour drive from my front door so there is rarely an excuse to not be out putting my camera to use. 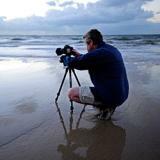 I did a quick count and in 2014 I made just over 50 separate trips to photograph various parts of the Sunshine Coast - and most of those involved waves and rocks. Below are six of my favourites from the past year. Aah, the open beach! A wonderful place to just walk and clear the head, but sometimes challenging to compose interesting or meaningful images with so much open space all around. 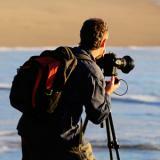 I posted some ideas on how to focus your attention and find images in this environment here. 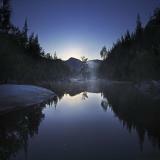 The first two images below were captured on the same evening in Mount Kaputar National Park. I found a spot along the edge of the escarpment that gave me a clear view of the setting sun beyond the Governor and Mount Coryah. Apart from a cold, strong wind blowing up the valley, the conditions were spectacular with pink-fringed snow-clouds hanging low over the landscape and a warm glow radiating from the setting sun. You can see more images and read about my trip to Mount Kaputar here and here, or you can watch my video here. 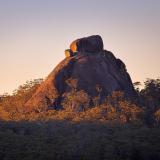 Bald Rock is one of those silent, mesmerising places that has a slightly eerie atmosphere. The rock rises well above the surrounding woodland so the usual sounds of the forest - birdsong, creatures on the undergrowth, wind through the trees - are replaced by the soft whisper of breezes blowing across the expansive granite surface. Added to that, the water-streaked rock surfaces look like something you might expect to find on another planet. I captured the image below during a visit to Bald Rock in May - it stood out to me as a favourite because of the symmetry between the streaked rocks and the clouds overhead. There are more images and an article about Bald Rock here (scroll down), and a short video of my trip here. Right beside Bald Rock, but on the Queensland side of the border, Girraween National Park has been a favourite spot of mine for some years. I visited in August and made the hour-long hike by torchlight to get to the Sphinx before sunrise...and here's the result. 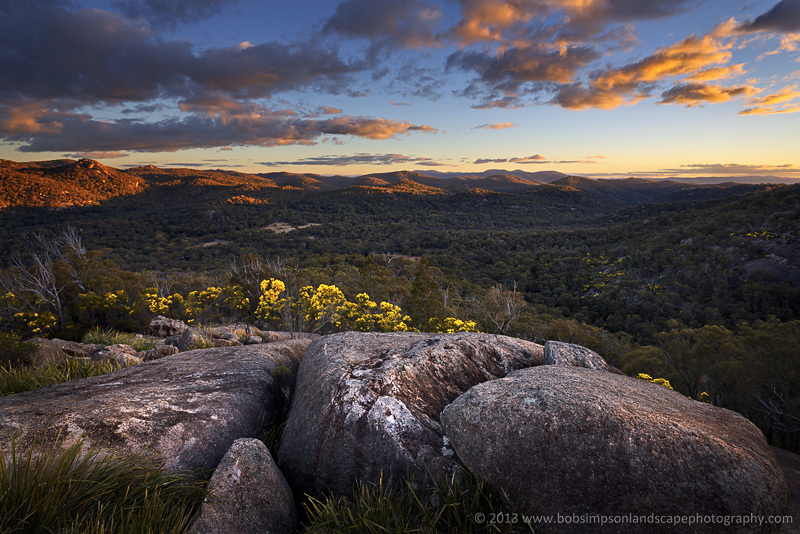 There are more images from my trip to Girraween NP here (scroll down). Another coastal theme I've experimented with in the past year is to point a medium telephoto lens straight at the rising sun to capture the dazzling cloud-lighting effects you sometimes witness at this time of day. It can be a fraught exercise dealing with such a high dynamic range, potential highlight blow-out and lens-flare, but if you can get around the problems, the results are often rewarding. I recently posted some tips for dealing with these problems...you can read them here. I think most landscape photographers keep their eye out for a good reflection to add an element of symmetry to a composition. A wet shoreline can be a great source of reflections and I often visit shallow gradient beaches at low tide to take advantage of this fact. Here are three of my favourites from the past year. And finally, a few strays that I included...just because I could.